The diameter of this type of Core Drill Bit is 152mm, wet Core Drill Bits are used for professionally wet drilling kinds hardness of concrete, reinforced concrete. It's laser welded by advanced laser welding production line, which ensures the core bits have high welding strength. Common sizes of Wet Core Bits are ranging 1 '' (25mm) to 14''(350mm) in size. 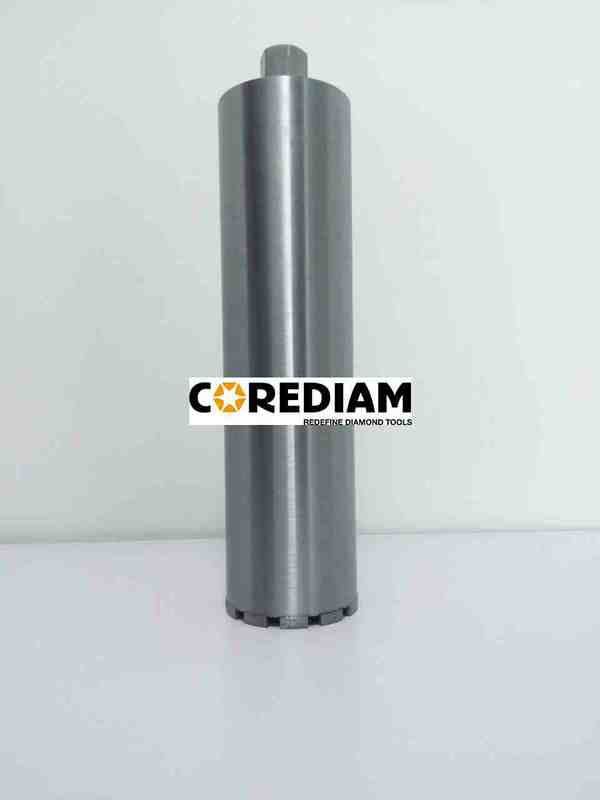 Our maximum diameter for laser welded Wet Core Drill is 500mm. Effective drilling length is 450 mm. Segments height, working length and connection type can be adjustable on your request. We can also supply brazed Core Drill bit, hole drill bit, electroplated core drill and vacuum brazed hole drill. Delivery time for the batch order is about 3 weeks. Looking for ideal D152 Core Bit in Good Quality Manufacturer & supplier ? We have a wide selection at great prices to help you get creative. All the 152mm Laser Welded Wet Core Drill are quality guaranteed. We are China Origin Factory of 152mm High Quality Wet Core Bit. If you have any question, please feel free to contact us.